Site visit, showed that this site was over a large area with established trees and high buildings. 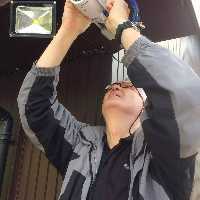 During the walk round various surveillance options and placements where discussed and it was decided that two camera's where needed for vehicular egress and ingress monitoring, two cameras for the campsite field and facility block, and a further camera for the reception area. Momentum Highland installed 5 x HD Variofocal Cameras with great night vision range, and a recording unit to match that covers a month of recording. 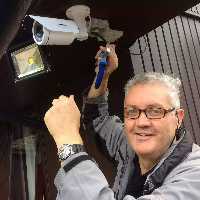 Gordon and Robbie from Momentum Solutions Highland have just provided CCTV for our campsite. This system provides our campers with the comfort and re-assurance, that their security and safety are of our paramount concern, and also substantially improves the service we provide to campers alerting us quickly to our smartphones events otherwise not seen from our reception area. The work was done over a few days neatly and efficiently, and they went the extra mile to ensure everything worked as it should. And all at a very competitive price. We are delighted.